Welcome to the gracious atmosphere of Bonita Bay Club. Our newly renovated Clubhouse offers an elegant wedding venue to all of our members and their guests. We invite you to make use of our many facilities! The Vista Room overlooks the Marsh course and has access to the outdoor patio with a panaramic view. The capacity of the space is 40 and opens to the Ballroom. The Clubroom is divided by a floor to ceiling see through fireplace and overlooks the newly redesigned driving range and putting green. Our paved patio offers amazing views of the driving range, putting green, and Marsh course with beautiful flowers and luscious surrounding trees. The pergola adds to the setting with shading, heating and lighting system. This romantic space with three crystal chandeliers and fabric walls is a wonderful place to host an event. This space is great for receptions, bridal showers and intimate dinners. It will accommodate up to 75 people. The 8,200 square foot clubhouse is nestled among 1,035 acres of cypress strands, pine trees, and sabal palms. The rustic atmosphere allows for wonderful dinners after golf with a capacity of 120 people. 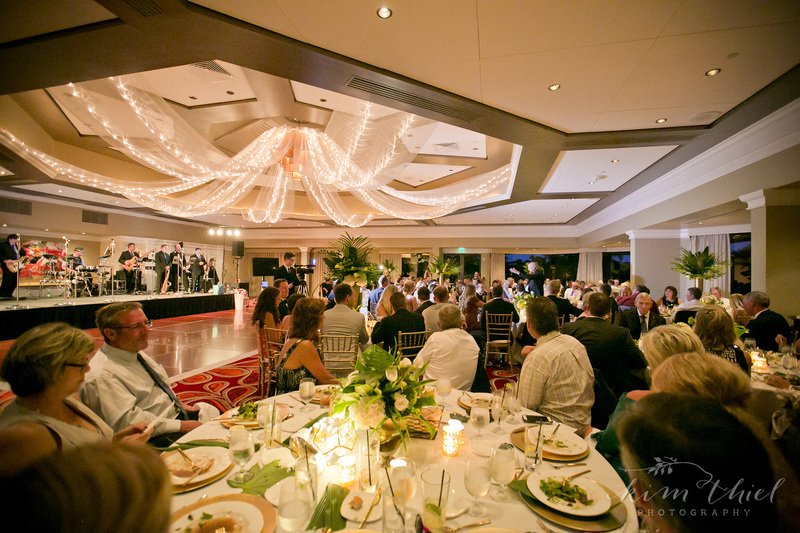 ￼￼To learn more about our wedding venue in Bonita Springs, contact Darcy Bodiker: (239) 949-5072 or via email: darcyb@bonitabayclub.net.